An avant-garde craft show made a stop in North Canton on Saturday and raised money for a local charity during its run. 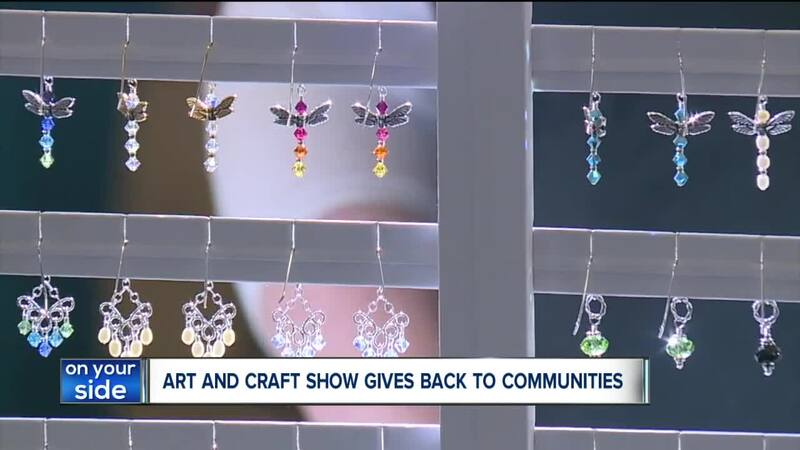 NORTH CANTON, Ohio — An avant-garde craft show made a stop in North Canton on Saturday and raised money for a local charity during its run. The Avant-Garde Art & Craft Show travels the Midwest raising money for different charities at each stop. On Saturday, the show made a stop at the St. George Serbian Center in North Canton. Attendees enjoyed local vendors, crafters and artists selling everything from baked goods to home decor and more. The Avant-Garde Art & Craft Show was founded in Cleveland in 2011. A portion of the proceeds of each show benefits a charity local to the area of the show. The show has raised more than $43,000 for local non-profits to date. A portion of the proceeds raised from Saturday’s show will be donated to the charity Fostering Hope, a non-profit aimed to improve the lives of children in foster care. Fostering Hope provides unique experiences for children in foster care and residential treatment that they might not typically get due to financial or volunteer resources. The Avant-Garde Art & Craft Show's next stop is the Medina Community Recreation Center on Saturday, April 27 from 10 a.m. to 5 p.m.
A portion of the proceeds from the Medina Spring Avant-Garde Art & Craft Show will be donated to the Cleveland Animal Protective League.